About seven billion euros in turnover are generated annually here at one of the world’s most attractive locations for the chemical industry. We are the East German federal state with the largest density of employees in the chemical industry, who in turn show a unique sales productivity. Research additionally accelerates the growth processes. 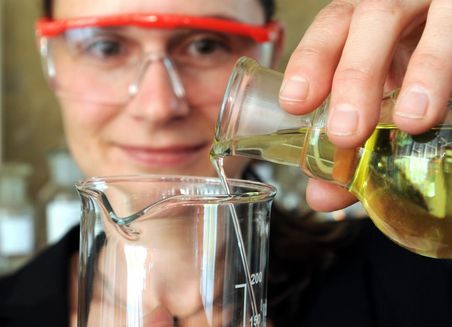 For instance, scientists at the Fraunhofer centre in Leuna are working on replacing oil and natural gas with biomass as a raw material for the chemical industry. EW Biotech GmbH, a subsidiary of EW Nutrition GmbH, operates a multi-purpose biotech plant in Leuna, Germany. In addition to scale-up and contract manufacturing, the facility will enable expanded research and development activities in the field of bio-based chemicals, feed and food additives. EW Biotech and its experienced staff in the field of biotechnology and fermentation are thus creating the conditions to enable customers and partners to make the leap from the laboratory to industrial scale. The perfumes are exported to over 26 countries worldwide, including the USA and Canada, South East Asia and North America. Whether perfume from Dior, Gucci, Joop or Jil Sander, scents from the company from Bitterfeld-Wolfen can be found in almost every bottle. Because hardly anyone knows: the majority of scents and aromas which are used worldwide are developed in laboratories such as at Miltitz Aromatics. "It all started almost 20 years ago. The first major commission came from Grasse in France, the global capital for perfume. It was a job order production, i.e. according to the customer's specifications and we developed a violet perfume. Customised, so to speak, and we were thereby able to make our mark“, explains Müller. "The violet perfume is a classical scent in perfume manufacturing and is very costly to produce.“ The fragrance obtained is refined in Grasse and is used as a perfume for cosmetics, washing-up liquid, detergent and even food flavouring substances.Miltitz Aromatics GmbH has more than 60 scent and aroma substances which have been developed in its own research laboratory on behalf of customers. In this way, for example, Dr. Peter Müller's team is the only manufacturer of the distinguished ambergris scent substance hydroxyambran which is used in perfume manufacturing for the characterisation of the base note. The smell is tobacco-like and woody and the perfume is described as having an aphrodisiac effect. Ambergris is produced in a natural way when sperm whales ingest their food. But not only because the Convention on International Trade in Endangered Species of Wild Fauna and Flora (CITES) prohibits the trade of sperm whale products, natural ambergris is no longer used. The synthetic manufacturing of the scent substance is also significantly more cost-efficient. However, Miltitz Aromatics GmbH does not produce its own perfumes. "We have specialised in fulfilling customer wishes“, explains the aroma expert Peter Müller. "Research is carried out in our laboratory on behalf of our partners. Nothing is ready-made.“ In this way, the grapefruit scent was also created specifically for a customer, because the fresh, bitter scent is the secret perfume tip for summer 2011. The turnover figures show that this is the right decision. "This year we will break the 12 million euro turnover mark. In the past year, this figure was 11 million euros. “Currently, the Miltitz experts are researching a new technology for a large plant which enables new innovations with cost-saving advantages. If things go as Managing Director Peter Müller describes, the new large plant should commence operation in the coming year, on the company's anniversary. "This would mean a significant wish would be fulfilled. Because raw materials can be offered even more cost-efficiently with this plant, assuring us a great deal of independence. “Perfume was produced by the Schimmel company in Miltitz near Leipzig as long as hundreds of years ago. Expropriated during the GDR era and transformed into a cosmetics state holding company, the start of the 1990s offered the opportunity to build on old traditions at the new site in Bitterfeld-Wolfen. With the founding of the company, it was no coincidence that the name "Miltitz Aromatics“ was used. Today, Dr. Peter Müller and his 50 employees have regained its reputation for being perfume experts. Together with Global Bioenergies S.A. in Leuna (Saxony-Anhalt), the largest batch of e-gasoline ever produced – 60 liters (15.9 US gal) – has been achieved. “Like all Audi e-fuels, the new fuel has many advantages. It isn't dependent on crude oil, it is compatible with the existing infrastructure and it offers the prospect of a closed carbon cycle,” said Reiner Mangold, Head of Sustainable Product Development at AUDI AG. Audi “e-benzin” (e-gasoline) is essentially a liquid isooctane. It is currently produced from biomass in a two-step process. In the first step, Global Bioenergies produces gaseous isobutene (C4H8) in a demonstration plant. 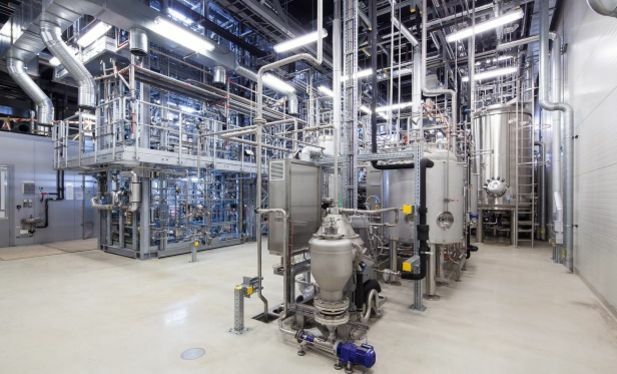 In the second step, the Fraunhofer Center for Chemical Biotechnological Processes (CBP) in Leuna uses additional hydrogen to transform it into isooctane (C8H18). 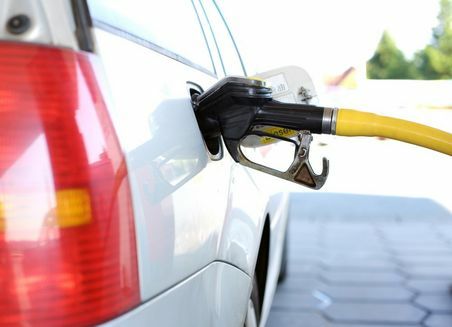 The fuel is free of sulfur and benzene and is therefore especially low in pollutants when it burns. 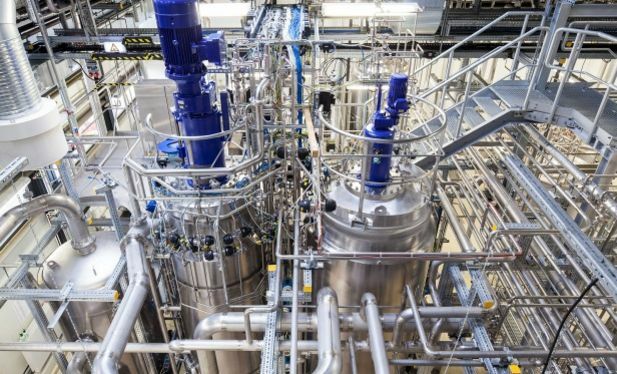 The Max Planck Institute for Dynamics of Complex Technical Systems Magdeburg and the Fraunhofer Center for Chemical-Biotechnological Processes CBP Leuna are cooperating in the BioEconomy Cluster Saxony-Anhalt. Lignin is actually a waste product in the extraction of pulp. This organic material is stored in the plant cell wall and gives wood its compressive strength and breaking strength. It is estimated that millions of tons of lignin are produced from lignified biomass every year. To date, around 95 percent of this has been incinerated to generate process energy and recycle the digestion chemicals. So far, so bad! The inconspicuous brownish powder can do more than just serve as fuel, says Peter Schulze, chemical engineer at the Max Planck Institute for Dynamics of Complex Technical Systems in Magdeburg. He puts three small glasses on the lab bench. One with coarse wood chips, one with a black-brown liquid and the other with the brownish lignin powder. This is simplified by the OrganoSolv process for obtaining lignin and cellulose from lignocellulose, i.e. wood fibres, continues Peter Schulz. In the well-known OrganoSolv process, lignin is dissolved in ethanol and water at around 200 degrees Celsius. The lignin is then precipitated from the dark brown lignin solution by ethanol evaporation or water dilution. Afterwards it is filtered and dried. These precipitation processes are energy-intensive, uneconomical and difficult to control in practice. The chemical engineer explains that lignin starts to stick together into a viscous and pitch-black mass when the temperature and ethanol concentration of the cooking liquor reach a certain level. The fact was known. However, until now nobody knew exactly where the cooking liquor was perfectly balanced and the lignin could be precipitated without sticking together. Until the research colleagues from the Fraunhofer Centre for Chemical-Biotechnological Processes CBP in Leuna asked for support in 2013. The 240 scientists and staff at the Max Planck Institute Magdeburg specialise in researching such dynamic and highly complex processes. In the same year, a cooperation agreement was concluded between the two institutes. The task was assigned to 29-year-old chemical engineer Peter Schulze by Prof. Dr.-Ing. Andreas Seidel-Morgenstern, head of the Division of Physical-Chemical Fundamentals of Process Engineering. Peter Schulze can work and research independently as a project manager. But when he first heard about lignin, he had to read up on what kind of research subject he was dealing with, confesses Peter Schulze. It was tested for one year and analysed in countless series of measurements. "Then we had the solution and the perfect relationship," says Peter Schulze with some pride. In 2014, the improved lignin precipitation process was patented together with colleagues from the Fraunhofer CBP. And the results of Peter Schulze's analyses will soon flow into a pilot plant in Leuna, which produces lignin semi-continuously and on a larger scale. As a result, the gap between the laboratory and industrial implementation becomes much smaller. 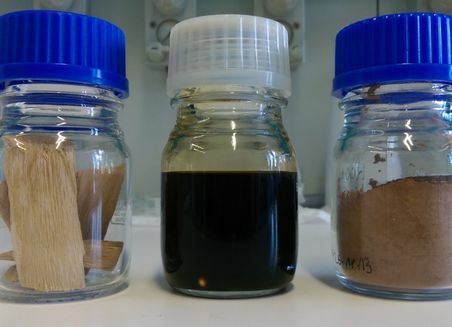 The different size distributions of the lignin particles are also conceivable, which will be important for further processing. After all, there is a lot of potential in this inconspicuous brownish powder. 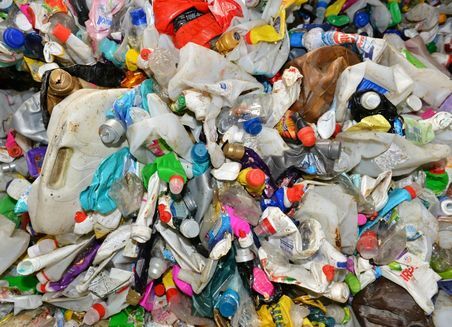 Firstly, it could be further processed into new, recyclable and CO2-neutral materials and can replace plastics based on fossil raw materials such as crude oil. Peter Schulze is again busy with further measurements in his laboratory at the Max Planck Institute for Dynamics of Complex Technical Systems in Magdeburg. Although he first entered the free economy after studying chemical engineering at the Otto-von-Guericke University in the state capital, he has returned to science: "I needed new challenges and approached the Max Planck Institute in Magdeburg in a targeted manner." He is currently working on his doctoral thesis, which of course deals with lignin. The inconspicuous brownish powder that has so much potential. It is the task of scientists and engineers at the Max Planck Institute in Magdeburg to make them useful. Specialists in red biotechnology, there are many in Saxony-Anhalt - as well as valuable active substances in biotechnology: Who would have thought that the tobacco plant could one day help to cure life-threatening illnesses? And that this discovery would come from Saxony-Anhalt? Just like other biotech innovations. The biopharmaceutical company Probiodrug from Halle/Saale, Saxony-Anhalt, is researching new approaches into fighting Alzheimer's disease. Probiodrug has been listed on the Euronext stock exchange in Amsterdam since 2014. The company has successfully developed a new therapy concept for diabetics in the past. Since 2007, no new drug has been approved for the treatment of Alzheimer's disease. The medical products currently available only treat the symptoms. "They improve the transmission of signals between the synapses. They don't prevent the neuronal decline, however," explains Konrad Glund. Glund is the co-founder and CEO of the biotechnology company Probiodrug which is based in Halle/Saale in the German federal state of Saxony-Anhalt, a location that the entrepreneur believes to provide excellent conditions for research and development. "The research conditions are very good and they have improved further in recent years. Saxony-Anhalt offers interesting financial instruments and provides start-up financing and investor mediation. It also provides direct project funding." For more than twelve years, the company has been conducting research into a concept of therapy for treating Alzheimer's disease. 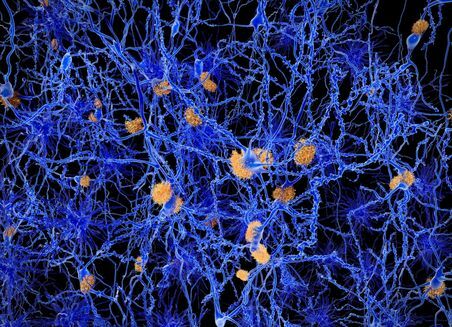 The researchers from Saxony-Anhalt have discovered a mechanism through which a normal brain peptide, called amyloid-beta, is chemically changed and therefore advances the disease. An active ingredient developed by the company, encoded with PQ912, prevents this modification with the goal of delaying or stopping the progression of the disease. The extensive animal studies to have been completed so far have provided impressive confirmation of this. This could amount to a breakthrough in the development of a drug to fight against the disease. At present, 46 million people are living with Alzheimer's disease worldwide, a figure that is expected to increase to 132 million by 2050. According to the World Alzheimer Report 2015, the global costs to society are estimated to total more than 818 billion US dollars. Since March of last year, the test substance PQ912 has been in clinical test phase IIa, on patients in the very early stages of Alzheimer's disease. The clinical trials are currently ongoing at 18 centres in seven European countries; the results should be available in early 2017. Additional detailed clinical trials are necessary in order to demonstrate efficacy and safety before PQ912 can be submitted for an approval procedure. Probiodrug is also researching an antibody that binds and breaks down the amyloid beta that is changed by the active ingredient on a highly specific basis. These antibodies are currently undergoing preclinical testing. The company was launched in 1997 as a spin-out of the Hans Knöll Institute for Natural Product Research Jena and the Martin Luther University Halle-Wittenberg. The co-founder and long standing director of research Hans-Ulrich Demuth discovered and patented a new principle for diabetes treatment, DP-4 inhibition. This principle led to the development of a new class of anti-diabetic drugs, gliptins. It currently generates billions in sales every year worldwide. Probiodrug has issued licenses to pharmaceuticals companies. In 2004, the entire business division for Diabetes was then sold to an American company. Probiodrug then focused on the development of treatments for Alzheimer's disease. The research and development work is being managed by Inge Lues and represented on the executive board; Hendrik Liebers is CFO. Mark Booth was recently appointed to the position of business development director with his primary focus being the USA, where the company from Saxony-Anhalt wants to expand its business activities in the future. Probiodrug's attendance at the BIO International Convention 2016 conference in San Francisco, where the company will present itself along with other innovative biotech companies from Saxony-Anhalt from 6th until 9th June, is another important step along this path. Probiodrug has been listed on the Euronext in Amsterdam since 2014. Up until then, 80 million Euros had already been invested in the company and its programme, with a further 36 million from leading investment funds having been added subsequently. The money is being invested in the current development projects. Konrad Glund explains how everyone is aware that the development of new pharmaceuticals products involves very high risks. "That's the price of genuine innovations. Probiodrug has characterised the approach for the new therapy in great detail, and with the data that has been generated by us, and increasingly by other pharmaceuticals companies, we are looking to the future with confidence." Konrad Glund also tells us that Saxony-Anhalt offers excellent conditions for research and development: "The research conditions are very good and they have improved further in recent years. Saxony-Anhalt offers interesting financial instruments and provides start-up financing and investor mediation. Direct project funding is also available for research and development." Vaccinations are among the most important and successful strategies for preventing dangerous infectious diseases. One company that has been developing and marketing innovative products and services for sustaining the health of humans and animals in this tradition for the past 95 years is IDT Biologika. This medium-sized business, which currently has 1,600 employees and recorded an annual turnover of 201.5 million Euros in 2015, has helped the German federal state of Saxony-Anhalt to develop into an internationally acclaimed centre for biopharmaceutical knowledge. With new cooperation partners on its side, the company IDT Biologika is now well on course for globalisation. The history of the company from Saxony-Anhalt dates back to the year 1921, when a Bacteriological Institute was founded in Dessau. The institute was dedicated to fighting pandemic diseases – especially tuberculosis. Just a few years after its foundation, the first human and veterinary vaccines were developed at the institute, including vaccines against erysipelas, tetanus and diphtheria. After the production facilities were almost completely destroyed in World War Two, their reconstruction and conversion took place in the form of a state-owned corporation (VEB) that specialised on animal vaccines. Four years after the reunification of Germany, entrepreneur Hartmut Klocke led the way in converting the organisation situated in Dessau-Tornau into a private company (GmbH) which then had 130 employees. Thanks to public and private investments, IDT Biologika – as the company is now known – achieved rapid growth. It now counts more than 1,600 employees. Its principal location is the BioPharmaPark in Dessau-Roßlau, it has a branch for research and production in Greifswald. In Denmark, and in the Netherlands, France, Spain, Canada and China, IDT Biologika has sales offices for the area of veterinary medicine. In the USA, IDT manufactures vaccines for clinical phases, while in Canada, stock vaccines for livestock are manufactured in the IDT subsidiary Gallant Custom Laboratories. In the area of animal health, IDT Biologika has now developed and manufactured more than 50 animal health products. These include vaccines against influenza and against oedema disease, a frequent disease in weaning piglets, as well as new medicines to improve the blood circulation in tissues, and medicines against parasites that can transmit diseases to dogs and cats. Along with animal health, IDT has established itself as a globally-recognised company in the area of contract manufacturing. It develops and produces vaccines for international customers and fills and packages sterile pharmaceuticals in liquid form. For this purpose, two new, ultra-modern production complexes have been constructed on a total area of around 6,000 square meters. 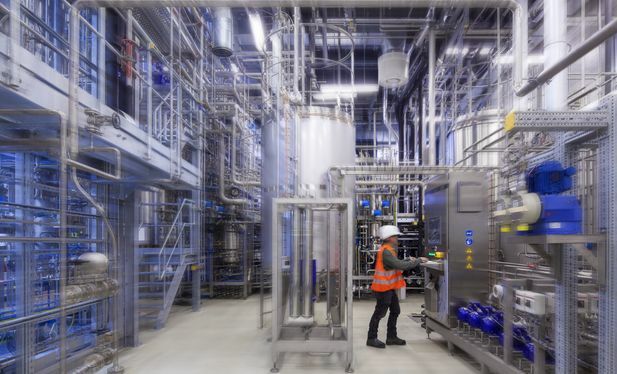 With these new facilities it is possible to package and ship up to 60 million injection bottles per year – providing the best conditions for the further expansion of the pharmaceutical company. In the shape of the VEROVACCiNES research project, scientists from the Martin Luther University Halle Wittenberg in the German federal state of Saxony-Anhalt have developed a novel vaccine platform to fight animal epidemics. With its cost-saving process, VEROVACCiNES is one of the winners of the highly endowed GO-Bio competition held by the German Federal Ministry for Education and Research. In 2017, the university project is to be outsourced and a veterinary pharmaceutical company will be founded. The idea is completely revolutionary: Harmless viral components are created in modified and patented milk yeast cells (kluyveromyces lactis) which are subsequently injected into animals, and through the massive activation of the immune system, provide one hundred percent protection against viral infections. 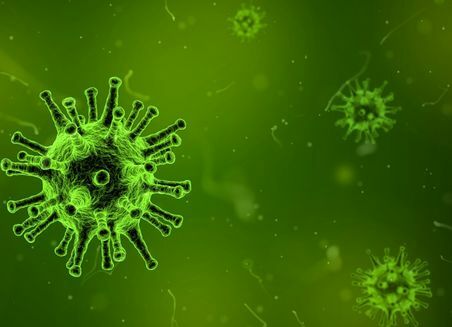 This new approach to the development of viral vaccines was discovered by researchers at the Martin Luther University Halle Wittenberg in Germany. Over the course of five years, the two working groups led by Prof. Sven-Erik Behrens - Virology - and Prof. Karin Breunig - Yeast Genetics - developed the technology in the VEROVACCiNES project, the efficacy of which has now been proven. VEROVACCiNES is to be established as a company in 2017. The company is to be based in the central German city of Halle/Saale on the Weinberg Campus, one of the biggest centres for technology and new business start-ups in Germany. The vaccine is cheap and safe to make, and has a high degree of effectiveness, says Dr. Hanjo Hennemann, Molecular Biologist and currently working on the founding of the company. "The special thing is the specialist use of our yeast. It is easy to use, has undemanding nutritional conditions and is also very reasonably priced." From the amount of yeast equivalent to a standard cube of baker's yeast, it would be possible to produce 50,000 doses of the vaccine! It is therefore a suitable tool. 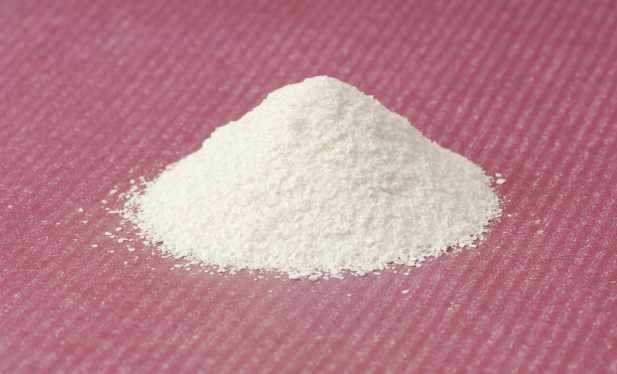 After fermentation, the yeast cells with the non-hazardous components of the virus are dried directly, killed and processed into powder without the separation of the virus components. Before use, the vaccine powder is dissolved in an aqueous solution and can then be injected directly under the animal's skin. "The virus components remain in the yeast; this omits the high-cost purification process. The second advantage is that the yeast cells themselves cause a basic stimulation of the immune system. Together with the formation of antibodies, this results in a very strong immune response," explains Dr. Hennemann. According to the biotech entrepreneur, the vaccination platform could also be of considerable importance for threshold and developing countries: Since the vaccination powder does not need cooling it is easy to store and especially interesting for countries with a hot climate. VEROVACCiNES now has proof of effectiveness for three different vaccinations: infectious bursal disease, viral bovine diarrhoea and avian flu. Two additional vaccines are in an early stage of development. Researchers are also working on a new technology in order to generate combination vaccines. At the same time, the new method is considerably more cost saving than conventional processes in which every vaccine component in a combined preparation has to be prepared individually and is only merged into a finished preparation in the end. VEROVACCINES produces yeast cells, however, which already contain all of the individual components. "We already have different experimental combinations but we don't yet have a finished vaccine. “If its production were to succeed," explains Hanjo Hennemann, "that would mean huge progress." The new vaccine is not yet on the market as a medical product. "The vaccine for infectious bursal disease is optimised to the extent that it can go into clinical trials. The requirements of the tests are very specific, however, and we are unable to carry them out ourselves," explains Hanjo Hennemann. Discussions are currently under way with two veterinary pharmaceutical companies that want to test two of the vaccines. Intense preparations are also taking place for establishing a veterinary pharmaceutical company. The feedback from national and international investors has been positive. VEROVACCINES is now seeking publicity with the goal of attracting interest. This year, for example, researchers from Saxony-Anhalt - as the only contribution from Germany - participated in the European Animal Health Investment Forum in London. Investment funds need to be secured, and the initial sales achieved, in time for the aspired launch of the company next May. With its idea, in 2012, the team of researchers was one of the winners of the Go-Bio competition held by the German Federal Ministry for Education and Research. The goal of the highly endowed GO-Bio programme is to support developments from fundamental research all over Germany in order to enable the founding of biotechnology companies. The competition is big and the success rate is low: of 100 participants there are only around five winners per round. Hanjo Hennemann is proud to be in the winning group. Its success in the differing funding programmes has so far seen the group earning five million Euros in support. "This new and exceptionally flexible vaccine technology and the vaccines generated with it provide the ideal conditions for healthy animal rearing and the safe production of food products," explains Hennemann. The biotechnology company Wacker Biotech GmbH is a contract producer of pharmaceutical proteins. Its areas of business include molecular biology, analysis and process development as well as the production of active pharmaceutical agents for clinical studies. In the city of Halle in the German federal state of Saxony-Anhalt, WACKER is also producing an active pharmaceutical agent for a previously approved drug to treat heart disease. Biopharmaceuticals or "Biologics" are medicines which are produced in living organisms with the help of biotechnology, such as bacteria, yeast cells or mammalian cell cultures. They are the new weapons in the fight against cancer and autoimmune diseases in particular. The demand for pharmaceutical proteins is therefore huge: They are now the fastest growing market for therapeutic agents and already account for 20 percent of the entire pharmaceuticals market. 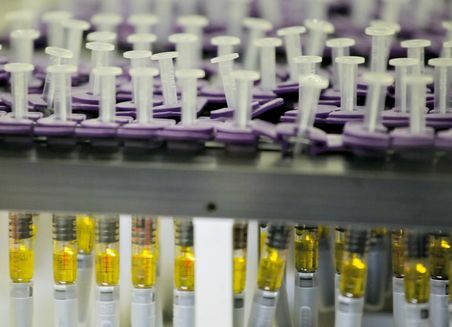 "Until 2020, the global market for biopharmaceuticals is set to grow by an average rate of nine percent and a volume of about 280 billion US dollars," explains Sebastian Schuck, Manager of the Business Development department at Wacker Biotech GmbH. As a highly specialised contract producer of therapeutic proteins, the biotechnology company develops and produces specialist pharmaceutical proteins in the city of Halle in the German federal state of Saxony-Anhalt as well as in nearby Jena. While around two thirds of the therapeutic proteins on the market are produced with mammalian cell cultures, WACKER only uses microbial systems. "We define ourselves as being European leaders in the provision of biologics that are of purely bacterial origin," explains Sebastian Schuck. We are therefore a specialist in the niche area of the contract production of pharmaceutical proteins. The customers of WACKER include internationally active pharmaceutical and biotechnology companies. "Our customers approach us because it has been evident for some years that it isn't possible to make all biotherapeutic products with the standard system. It's a great opportunity for us in the market," explains Schuck, who holds a PhD in molecular biology. WACKER is also able to offer unique solutions for products that are hard to make, for which many of the major competitors no longer have the required expertise. The background is that the production of novel active agent formats such as antibody fragments using conventional mammalian cells is much more complex, time-consuming and expensive. WACKER ascertained the long term importance of bacterial systems at an early stage: Wacker Biotech GmbH is now a contract producer of biologics with over 25 years' experience in microbial systems. The company which has been a one hundred percent subsidiary of the global company Wacker Chemie AG since 2005 was established in the year 1999 with the name ProThera GmbH in Jena (Thuringia). 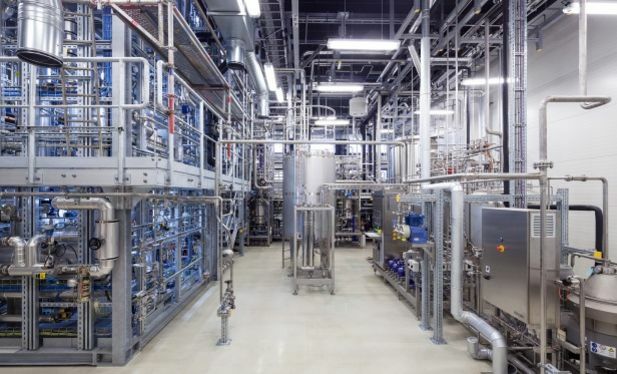 About two and a half years ago, WACKER took ownership of the facilities and technology of the biotechnology company Scil Proteins Production GmbH in the city of Halle in Saxony-Anhalt. On this basis, WACKER was able to decisively expand its production capacities. With the Halle location, the company now has fermenter capacities of up to 1,500 litres. "The acquisition in Halle in Saxony-Anhalt was an important step in accompanying our pharmaceutical customers from the clinical testing to supplying the market," explains Sebastian Schuck. "It proved to be the ideal addition to our position in the market. This is also acknowledged internationally - reflected in increasing demand and the positive response in the market," explains Sebastian Schuck. The company Wacker Biotech GmbH has 180 employees in Jena and Halle. Sebastian Schuck goes on to praise the excellent conditions at the Weinberg Campus in Saxony-Anhalt, one of the biggest centres for technology and new business start-ups in Germany. The ability to hire talented young people adjacent to the academic environment of the university campus is a genuine location advantage, and one that the company needs: Wacker Biotech intends to continue expanding as a contract producer of proteins and active agents for the pharmaceuticals industry. 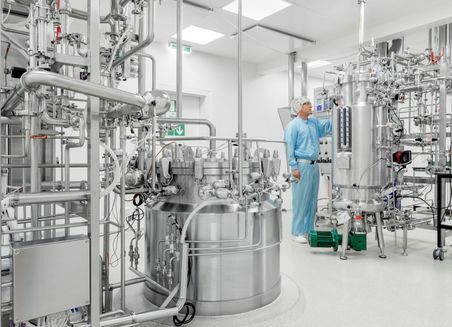 For the contract production of medicines made using biotechnology and for wide-ranging therapeutic use, cost-efficient production is a decisive factor. "For biopharmaceuticals, gram prices of over 10,000 Euros are frequently quoted for the production of the active agents. Medicines sometimes never make it to the market because they fail to pass the cost-benefit assessment. Our systems help make the production costs more efficient," explains Sebastian Schuck. Higher yields and efficient preparation - WACKER fulfils these requirements surrounding the contract production of proteins with its proprietary technology platforms. ESETEC® and FOLDTEC® are two unique, patent protected procedures in the market which make a decisive contribution to the development of modern and resource-saving production processes. With its innovative technologies for the efficient production of biopharmaceuticals, WACKER has recently been nominated for the highly regarded "Innovation Prize of the German Economy". "This prize is awarded to the leading scientific, technical, entrepreneurial and intellectual property innovations in the German economy each year. We are very happy about our nomination because it shows we offer unique technology which is acknowledged beyond the pharmaceuticals industry." "We intend to continue developing our technology platforms. We don't just want to be a straightforward service provider, we want to offer innovative technologies which aren't available anywhere else," explains Sebastian Schuck. To be able to achieve this, they want to expand. Along with several other innovative biotech companies from Saxony-Anhalt, Wacker will be attending the BIO International 2016 in San Francisco with its own stand. "We want to increase our presence in the USA because of its importance as one of the key markets for pharmaceuticals and biotechnology," explains Sebastian Schuck, Manager of the Business Development department. The biotechnology company Navigo Proteins from the city of Halle in the German federal state of Saxony-Anhalt develops customised proteins which can be used for both the purification of biopharmaceuticals as well as for diagnostic purposes. The company is a leading international specialist for the optimising of proteins and expects to achieve profitability in the year 2018. 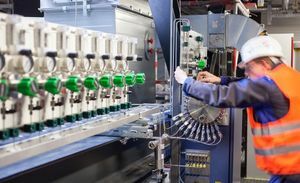 The biotechnology company Navigo Proteins from Halle in Saxony-Anhalt has recently announced a cooperation with the company ITM AG of Munich, a specialist in the production of radio-pharmaceuticals. With their technology, the scientists at Navigo Proteins are to develop a protein which makes possible cancer foci in the patient's body visible and subsequently permits treatment. To this end, the protein that has been customised especially for this treatment is loaded with a radio-isotope. If the patient is suffering from cancer, this binds to the tumour so that it can be rendered visible and localised with imaging procedures. In addition to this diagnostic application, as a radio-pharmaceutical, the molecule also has therapeutic potential, however, as the radiation intensity of the radio isotope can be used in order to shrink the tumour. The benefits are clear: the procedure is much less stressful for the patient than classic radiotherapy because it is locally limited and only affects the tumour directly. The protein-based procedure for a new diagnosis and treatment of cancer is being developed by Navigo Proteins in the federal state of Saxony-Anhalt on the Weinberg Campus, one of the biggest centres for technology and new business start-ups in Germany. Afflerbach praises the conditions for the biotech sector in Saxony-Anhalt and in the university city of Halle. "The state has provided support to the Weinberg Campus. The infrastructure is superb, it offers a genuine location advantage of the possible recruitment for young scientists who are made available by the university in Halle, with its focus on protein biochemistry." "Our core expertise is changing proteins and customising protein molecules for a specific purpose," explains Henning Afflerbach, one of the two managing directors of Navigo Proteins from Halle. The small biotechnology company from Saxony-Anhalt, with 36 employees, defines itself as a specialist and European market leader in the area of the modification of proteins – protein engineering. "We have managed to make a good name for ourselves beyond Europe," explains Afflerbach. It also counts customers for its specific proteins for use in biopharmaceuticals from the USA and Canada. Navigo Proteins' key focus is its patented Affilin® technology. "The Affilins are very small and very stable; they do not induce any unintended immunological responses," explains Henning Afflerbach. The Affilin® behaves "very well" towards modifications, and can therefore be altered on a manifold basis without changing its structure or losing its function. The concept of the Affilins from Saxony-Anhalt has also convinced the pharmaceuticals producers ITM from Munich, which develops new radio-pharmaceuticals. This is because the high adaptability of the Affilins satisfies the requirement for the combination of precision diagnostics and effective therapy in one approach. A further strength is the technical application of the Affilin® technology in modern biopharmaceuticals production processes. 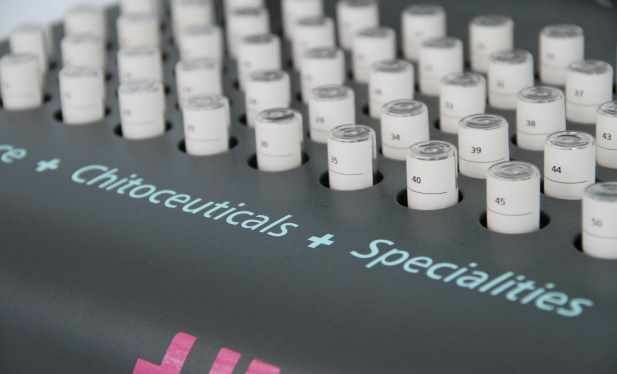 Through the use of Affilins in the process known as affinity chromatography, the otherwise expensive and time-consuming procedures can be very much shortened; they also make the process scalable and predictable and above all, cost-effective. Scil Proteins is due to announce further commercial partnerships with major pharmaceuticals companies which will be making use of the technology from Halle in the future. In the last two and a half years, the scientists and employees have focused their technology platform on the application fields of protein-based diagnostics and affinity chromatography. Managing director Afflerbach tells us that the feasibility has now been demonstrated and the commercialisation is under way. They are aiming to achieve profitability in 2018. This would be an exceptional achievement, because it was only two years ago, in 2014, that the biotechnology company founded in Halle in 1999 made a completely new start. It was then that its sister company, Scil Proteins Production, was sold. Following this, it was important to find a strategy for being able to enter the market quickly with one’s own products, explains Henning Afflerbach today. By focusing on a clearly more effective, lower cost technical purification of proteins on the basis of its own Affilin® platform technology and on Affilin® based diagnostics as a straightforward service provider, the Halle company's change of strategy succeeded. "The international response demonstrates that we have taken the right path," says Afflerbach. Icon Genetics and Nomad Bioscience are two high-tech companies based in Halle/Saale that develop production technologies for manufacturing biopharmaceuticals and low-cost proteins. Areas of application are molecular biology and biotechnology. The production method with which ZMapp is manufactured in the USA comes from Halle. The Investment and Marketing Corporation Saxony-Anhalt spoke to the founder of the companies, Dr Yuri Gleba. You founded Icon Genetics in the USA in 1999 and later relocated to Halle in Saxony-Anhalt. In 2008 you set up your second company Nomad Bioscience, also located in Halle. What are your reasons for choosing this location? As a member of the German National Academy of Sciences Leopoldina, I visited Halle many times after German reunification as I have many colleagues at both the university and the Leopoldina. It therefore seemed logical to consider relocating Icon here from the USA. I have never regretted this decision. The city of Halle and the state of Saxony-Anhalt have developed good partnerships. The infrastructure here is excellent for small high-tech companies, such as Biozentrum Halle GmbH or Bio Mitteldeutschland GmbH. We work together with the Leibniz Institute of Plant Genetics and Crop Plant Research in Gatersleben and the Leibniz Institute of Plant Biochemistry in Halle as well as the Martin Luther University Halle-Wittenberg. How many people are employed at Icon Genetics and Nomad Bioscience? We have 33 employees at both research companies in Halle. With the exception of two managers, they are all engaged in high-tech scientific work in the fields of molecular biology and biotechnology. The vast majority of scientists and specialists that we have employed in recent years graduated from the Martin Luther University Halle-Wittenberg. What synergies can your two companies make use of with the settlement at the same location? By using similar technologies, which are applied in different fields, we can make the most of the expertise of all our scientists. Our researchers are all equally qualified for the exhaustive assignments. Both companies can therefore contract out assignments with one another. This provides a cash flow for a more financially stable company. In the meantime, Icon Genetics GmbH had been acquired by the Leverkusen pharmaceutical company Bayer. How did that come about? The Leverkusen pharmaceutical company Bayer acquired the Icon company in 2006 because the company was planning a cancer vaccine that, according to those responsible, would best be manufactured within our production conditions. I continued working as the managing director. Bayer later decided to discontinue the development of this substance. The company therefore no longer had any use for the production technology of Icon. My other company Nomad Bioscience bought back Icon Genetics GmbH in 2012. Do you still collaborate with Bayer? 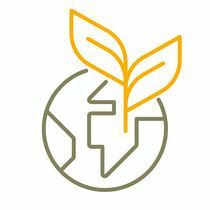 There is extensive cooperation between the Icon parent company Nomad Bioscience and Bayer CropScience. BCS is our strategic partner in the field of agriculture. In which business area does your second company Nomad Bioscience operate? Nomad Bioscience develops technologies for the production of industrial enzymes and biomaterials which are used in food safety and agriculture. In contrast, Icon serves human and veterinary health and is active in the defence against biological agents. Both companies use similar production platforms. But while Nomad focuses on the production of low-cost proteins, Icon focuses on high-quality biopharmaceuticals. Icon is currently causing a stir with the ZMapp drug against Ebola. It is manufactured in the USA based on the technology that your company has developed. Mapp Pharmaceuticals from the USA develops the antibody mixture. KBP, also from the USA, have the production capacity to manufacture ZMapp compounds (currently in limited quantities). Do your two companies in Halle have other economic or scientific cooperation projects, either nationally or internationally? Both Nomad Bioscience and Icon Genetics have several large companies in the USA, Germany and Japan as their customers. Due to mutual agreement, we cannot disclose the company names. The scientific career of Dr Yuri Gleba began in the former Soviet Union (PhD from Kiev in 1975, professor and additional doctorate in Leningrad in 1989). He worked at the Ukrainian Academy of Sciences in Kiev from 1975 to 1991. He moved with his family to the USA in 1991 and joined American Home Products in Princeton. There he worked as department manager for plant biotechnology. He left the company in 1999 and founded Icon Genetics, which was later relocated to Germany. Gleba heads Icon Genetics GmbH in Halle as well as Nomad Bioscience GmbH, which was founded in 2008. He also manages the company Nomads in Vilnius, Lithuania. The Hidden Champion Heppe Medical Chitosan on the weinberg campus in Halle (Saale) produces high-purity chitosan as a raw material for the pharmaceutical industry worldwide. Biodegradable biopolymers as an alternative to oil-based materials are on everyone's lips and are already used in a wide variety of products such as packaging and films. Chitosan, a biopolymer that is still relatively unknown to the public, offers countless areas of application. In the medical field, for example, it improves wound healing as a component of wound dressings and dissolves naturally as suture material at the desired time. 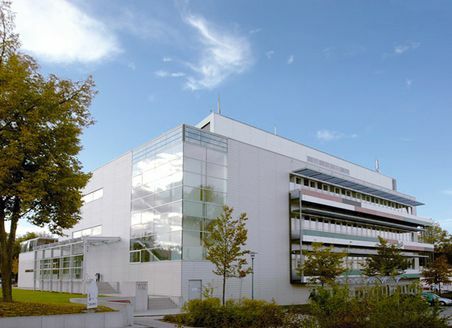 The world market leader for high-quality Chitosan is based in the weinberg campus technology park in Halle (Saale). Heppe Medical Chitosan manufactures chitin, chitosan and chitosan derivatives for customers in the pharmaceutical industry and conducts research into chitosan and its various fields of application. Chitin is a plant-based polysaccharide that can be obtained, for example, from the exoskeleton of crab shells, which are produced annually in large quantities as a waste product from crab fishing. The shells are cleaned to remove all foreign substances. Chitosan is obtained by deacetylation of the chitin, from which various chitosan derivatives can be produced by further reaction. The founder of the company, Katja Richter, already conducted research into chitosan as a drug-delivery system for overcoming the blood-brain barrier during her studies. The biopolymer chitosan can be used as a transport vehicle to bring drugs to their place of action inside the body in a targeted manner and in sufficient concentration. During her research Richter noticed the lack of quality and reproducibility of the Chitosan products available on the market. That is why she founded Heppe Medical Chitosan GmbH more than 13 years ago at weinberg campus near Martin Luther University Halle-Wittenberg. Good support from "Univations" start-up service, the opportunities for cooperation and the advantages of the location's existing, compact structures were decisive factors in its choice of location. 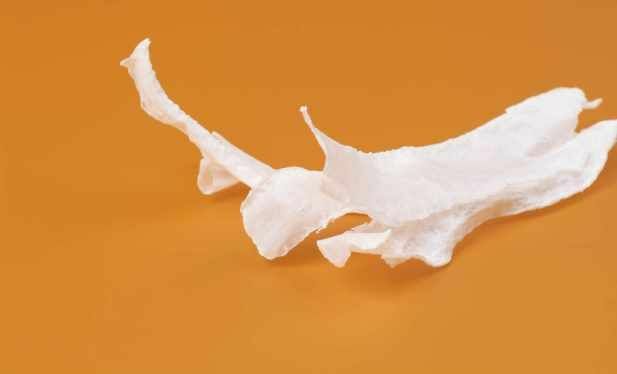 The main business of Heppe Medical Chitosan is the worldwide supply of the raw material Chitosan to small and medium-sized companies as well as to globally operating corporations: Most customers are located in America, China, Korea and Japan. A special field is the production of chitosan derivatives. 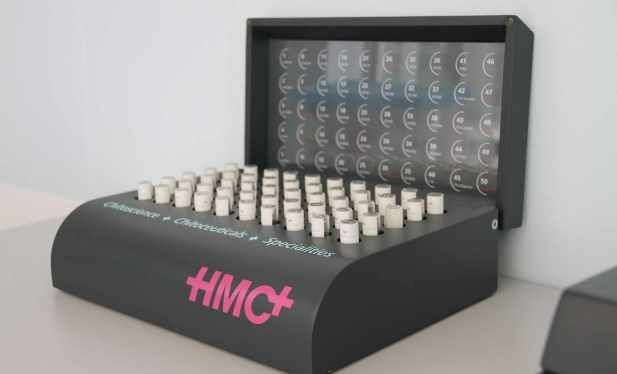 On behalf of companies, the HMC team develops chitosans with the desired, special properties. In the laboratories of HMC it is possible to produce under clean room conditions according to GMP ("Good Manufacturing Practice") guidelines. Research is being conducted on fiber materials and chitosan coatings, among other things, which can be used in the medical field. "In what we do and in this breadth we are unique on the world market. We have made it our business to be able to produce very special chitosans, meaning you can buy over one hundred different chitosans from us. Our competitiors are able to produce about three to four different chitosans. This makes us really unique," says company founder Katja Richter. As Chitosan can be used universally, it is interesting for almost every branch of industry. Whether in hairspray, sunscreen or toothpaste - Chitosan is contained in many cosmetic products. In the medical field, dressing and suture materials as well as implant coatings benefit from the bacteriostatic and haemostatic effects of chitosan. 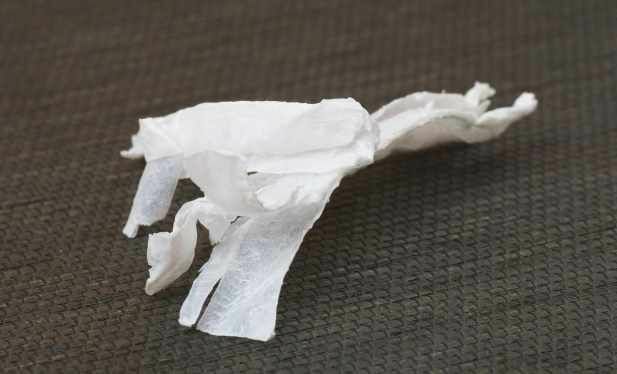 Research is also being conducted into chitosan-based “scaffolding” in tissue engineering. But also the textile industry, agriculture and waste water technology use biopolymers. "This is our motivation. Going to a pharmacy and knowing 'Yes, we have our fingers in the pie’ and now you can help people with it. Chitosan connects people, markets and ultimately a bleeding wound," Richter explains. In times of climate change and rising crude oil prices, bio-based plastics are becoming more and more significant. Furthermore, the demand for materials with new properties is high. Biotechnology has great and still untapped potential. Can big stories of innovation and inspiration be found in a little cup? The Merseburg “Exipnos GmbH” gives the answer with its revival of the “aeroplane cup”. For the conference “Biopolymer – Processing & Moulding” in June in Halle (Saale), this Merseburg company, which specialises in plastic compounds, and its cooperation partners are breathing life back into this design piece from the 30s. This cup is brimming with ideas and at the same time dishwasher safe and biodegradable. Marguerite Friedlaender-Wildenhain would surely have approved of what is now happening with her little cup. This artist from Lyon loved being innovative in her work. Daring to do something new and thinking way outside the box. Possibilities for this opened up for the Weimar Bauhaus student in the 30s at the Burg Giebichenstein University of Art and Design Halle (Saale), where she ran the ceramics and porcelain workshop. She designed the “aeroplane cup” in 1931 / 32, while outfitting the new Halle-Leipzig Airport. Simple, small, white. 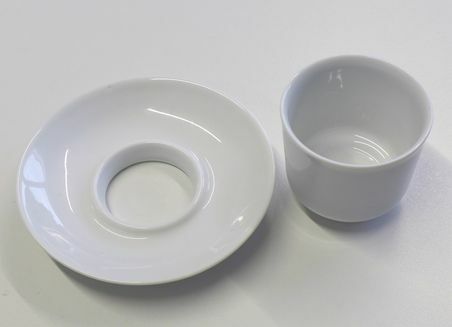 The cup, which is shaped in a modern design style, has no handle but instead a deep foot rim which grips into the holed centre of the saucer. Nothing can upset it. It stands firmly and cannot be budged. The cup received a small revival in the form of a limited small batch on the occasion of the inauguration of the international airport in Leipzig at the start of the new millennia. It is now experiencing a rebirth and is at the same time a symbol of the spirit of research and invention to be found in Saxony-Anhalt and of the economic currents successfully blending there. Three quarters of a century after it was designed, the “Ringmoccatasse”, as the artist called it, has lost none of its originality and functionality. It has been left unscathed by the passing of times and fashions. It is in good company. In Saxony-Anhalt, the ideas of modernism were already developed and tried out in the 20s and 30s – in Magdeburg, Halle (Saale), Leuna, Stendal and Zeitz, among other places. The Bauhaus thrived in Dessau. Here, in 1925/26, Walter Gropius erected the building that has become an icon of modernity and is part of the UNESCO World Heritage. In the coming year, Saxony-Anhalt will be celebrating the 100th anniversary of its founding as one of the most important achievements of the 20th century. “Rethinking the world” – the motto of the anniversary, which is also being celebrated on the international stage, is a good opportunity for once again thinking much further “outside the box”. Because it is no coincidence, of course, that “Exipnos GmbH” and its cooperation partners are reviving the “aeroplane cup”. It is intended to be a gift at the international conference “BIOPOLYMER – Processing & Moulding”, which receives interested visitors travelling from many different parts of the world. The Fraunhofer Pilot Plant Centre for Polymer Synthesis and Polymer Processing in Schkopau provides the test capacities and know-how for the “cup gift”; the chemical company BASF, based in Saxony-Anhalt with a plant in Leuna, supplies the versatile bioplastic “ecovio®”, which is biodegradable and bio-based. As well as the cup, a lot of questions about bio-based and biodegradable plastics are going to be tabled at the conference on 19 and 20 June – in cooperation with Burg Giebichenstein in Halle (Saale), where creative students and fresh start-ups still develop their ideas and put them on the market. Peter Putsch, who is the boss of “Exipnos” and also the Chairman of the “POLYKUM Association for the Promotion of Polymer Development and Plastics Technology in Central Germany", is looking forward to the conference and says: “World market leaders and hidden champions meet during the conference, but also small to medium-sized companies. We talk to injection moulders, processors and users.” The attendees get an update on bio-plastics and what is going on in the chemical triangle. Because Halle (Saale) is not just a popular place to study and work for creative people whose industry has established itself as the “key economic sector” in Saxony-Anhalt thanks to interdisciplinary teams. The city on the Saale and its Central German urban neighbours can at the same time look back on more than 100 years of tradition in the chemicals and plastics industry. After 1990 one of the world’s most efficient chemical sites was created in the metropolitan region of Central Germany. This branch of industry is currently once again among the most important growth sectors in the region. The bioeconomy and the bio-based economy have developed into an important mainstay. It is not for nothing that Saxony-Anhalt is part of the focal region of the Central German top cluster “BioEconomy”. 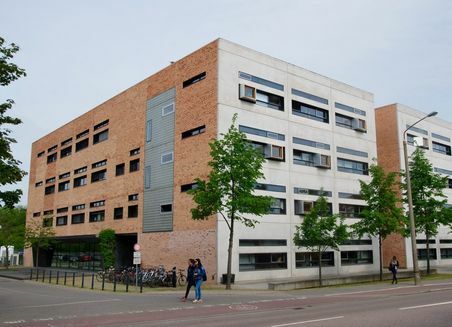 It receives important academic input from, among other places, the Science Campus Halle (Saale), where four of the region’s Leibnitz Institutes cooperate with institutes of the Martin Luther University of Halle-Wittenberg and devote themselves to the subject of “plant-based bioeconomy”. Countless interdisciplinary teams here are also thinking way outside the box thanks to the “Saxony-Anhalt Regional Innovation Strategy 2014-2020”. And this is where the “aeroplane cup” with the hole in the matching saucer comes in. Design and plastic go together – almost like mocha and a cup. The idea of the biodegradable cup was not so airy-fairy at all, says Putsch, and he met with a lot of agreement when he brought it to the conference. The “fresh aeroplane cup” of Marguerite Friedlaender is now brimming with biopolymer know-how and has always been a strong design. It is thus a symbol for ideas that might at first seem like “pie in the sky”. When one thinks of records, one equates them with vinyl. For the past 70 years these discs have been made out of vinyl, aka PVC, the basis of which is petroleum, an environmentally-harmful product in terms of both its production and disposal. And architects and designers have been avoiding this material for several decades – mainly because environmentally-friendly, organically-based plastics are available. In this respect, why shouldn’t it be possible for vinyl records to be made from other materials as well? At the time, Alexander tried to find the answer to this question in his kitchen by making a shape similar to a baking mould so as to reproduce the grooves of the records. The student pours what he finds in and around the apartment into the mould. He tries it with frozen chocolate, with beeswax, with sugar-water and with concrete. The beeswax record is easy to make, but the soft material scratches after just one use. The chocolate works only briefly as well. Things work out the best with the concrete. "At that time, I was just trying to find out what was generally possible," says the 30-year-old, remembering his initial experiments. That the student of Play and Learning Design at Burg Giebichenstein starts to look at the vinyl records from a sustainable, creative perspective, has to do with the "Kling und Klang" project at the university, where he and his fellow design students address the topic of music reproduction. In this context, Alexander first looks at the history of sound recording, then immerses himself deeper into the materials behind it and builds a piece of equipment "to understand the principle of production". The 30-year-old is accustomed to combining theory and practice. Before he began studying design, the native of Cottbuss learned the rare trade of organ and harmonium builder in Bad Liebenwerda. As an up-and-coming designer, he is constantly on the lookout for things that can be changed and improved. With his "Vinyl 2.0" project, he now wants to start off a "small-time revolution". After all, the proof that records can also be made from polylactides, or PLA for short, is just the start. "To be able to use plastics of this kind, machines have to be retrofitted and processes changed," says Alexander. "Vinyl records have been produced for the last 70 years." And at the moment, due to increased demand, production is picking up again and lifting it out of the niche. The record is experiencing a renaissance. Sales of records, which fell to a minimum following the introduction of the CD, have been steadily increasing over the past ten years. Modifying industrial series production requires courage and will, however, explains Alexander. And the student believes that he has found both of these at a small Hamburg-based records manufacturer by the name of "Ameise". Together with the company’s owner, Martin Sukale, two test runs are underway which have been a success. Alexander has found another partner in the shape of the "R.A.N.D. Muzik" records factory. This Leipzig-based company is supporting his project with technical know-how and equipment. And other things are also happening: the BioEconomy Cluster Halle association has provided scientific advice on materials, and at this year’s state-wide "BESTFORM" competition, from more than 40 submissions, the project made it into the list of nominations. 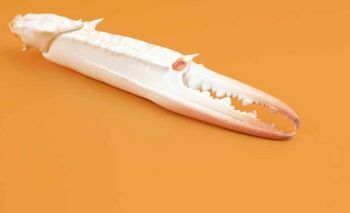 The Stadtmuseum in Halle (Saale) is presenting the project in its permanent exhibition until the end of the year. Alexander – who plays the piano in his spare time – is now seeking further support. His goal is clearly defined: for records made of organic plastics to conquer the market as an alternative to vinyl. To prevent his goal from being a dream and to reduce the reject rate from the initial test series, he wants to try out more plastics and offer more material possibilities. To enable further tests, however, the plastic extruder will have to be retrofitted and the machines given a technical overhaul to allow for the production of new discs – tasks for which the student is currently seeking financial support. "Dedication alone isn’t enough for the project to result in series production," says Alexander. Raising the profile of the organic record helps, however. In Berlin, Alexander is currently holding workshops on how to produce environmentally-friendly discs. The music still plays a secondary role, though. "If the project is a success, I am hoping to find an artist who would then launch their first album on the new record," he says. 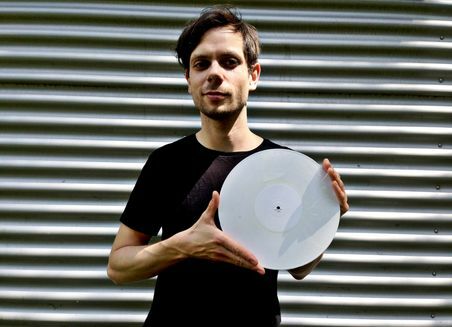 In his first experiments at the records factory, he had to make do with what was being pressed when he presented his template: French electropop. But for Alexander, it’s what’s in the record that’s really important, and not what’s on it. The potential in the leaves of the beech tree was discovered by Manfred Schäfer. For the shareholder of 3P Präzisions Plastic Produkte GmbH in Staßfurt, innovations have always been part of its professional life. The company produces injection-moulded parts for the automotive industry. With bio-plastics from beech leaves, Schäfer plans to break new and especially sustainable ground. “Our prototypes have 85% leaves content and, in preliminary tests, they showed to have the same great stability as crude oil-based plastics, but they are lighter and have a significantly better carbon footprint”. When children from 6 years of age create their own playmates with the help of TinkerToys, creativity knows no bounds. The new child-friendly design software allows young designers to convert their game ideas online. The toy is then made a reality with the 3D printer. With this bridge between analogue and digital world, the start-up enhances the digital competence of primary school children. They can experience that the internet provides more opportunities than watching videos and chatting. 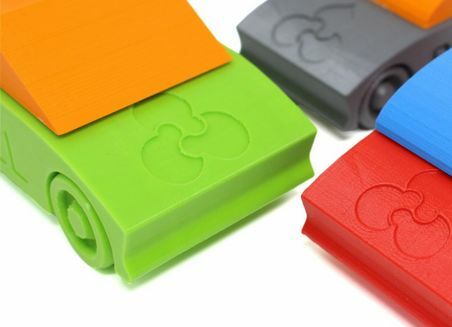 All TinkerToys creations are also produced from a bio-plastic based on cornflour, and are completely biodegradable.